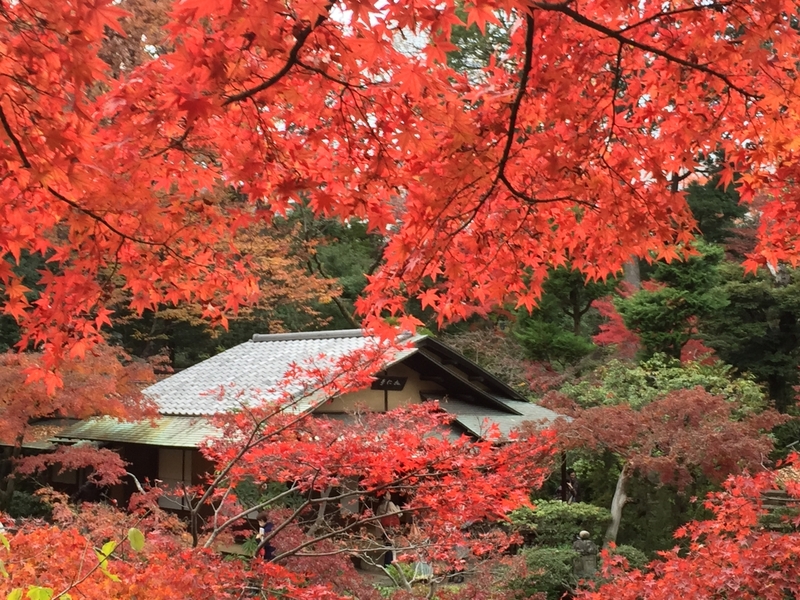 Admiring nature’s colorful transformation in the fall is a time-honored ritual in Japan that draws crowds from far and wide to distant mountainsides, hidden valleys and traditional gardens famed for their fiery autumnal palettes. While Kyoto is, without doubt, everyone’s favorite spot for enjoying fall foliage, there are plenty of other less crowded sites that offer the chance to be mesmerized by the myriad hues of yellow, orange, red and brown that make autumn such a special time in Japan. 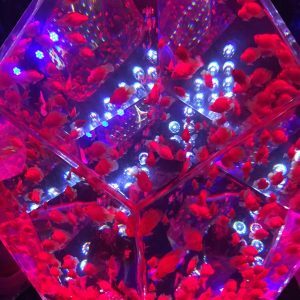 Within Tokyo, Nezu Museum, centrally located in trendy Aoyama, is not only home to one of Japan’s most important private collections of pre-modern Japanese and East Asian art but also has a beautifully tended garden complete with teahouses, ponds and streams. Vermilion maple leaves frame a teahouse in the Nezu Museum garden. 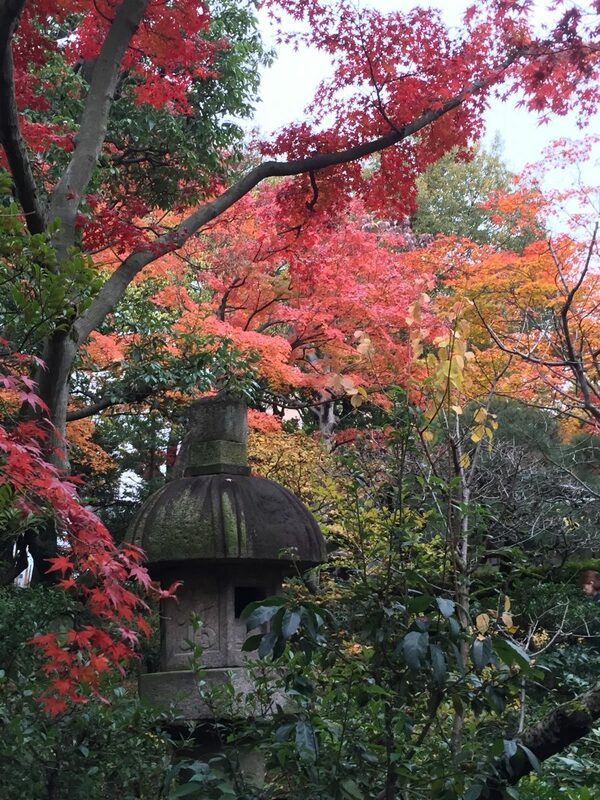 Autumn colors contrast with the subdued features of the stone lantern in the Nezu Museum garden. 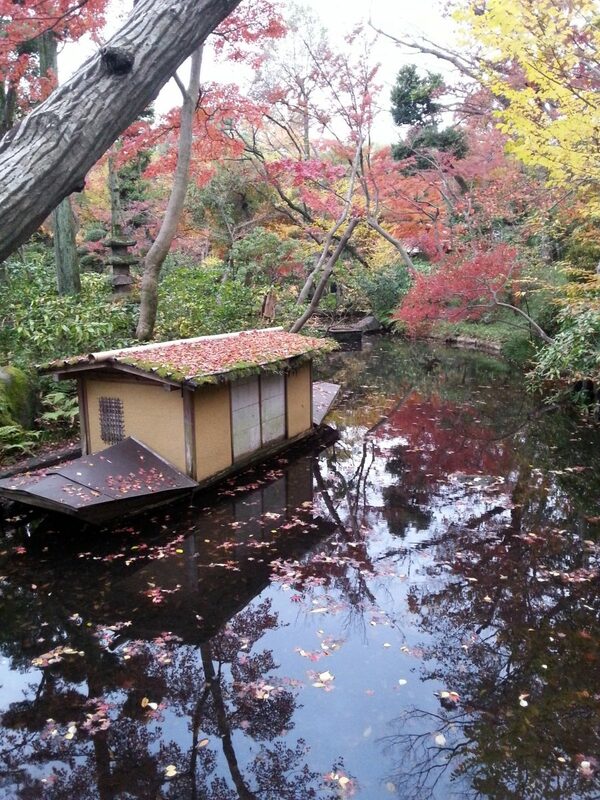 A traditional boat on a pond in the Nezu Museum garden. Another easily accessible spot for catching some dazzling autumn color is the broad, gingko-tree lined avenue known as Icho Namiki, in nearby Gaienmae. From about mid-November, the leaves of the towering gingko trees along Icho Namiki turn golden yellow, making a striking contrast to the azure skies of a bright autumn day. 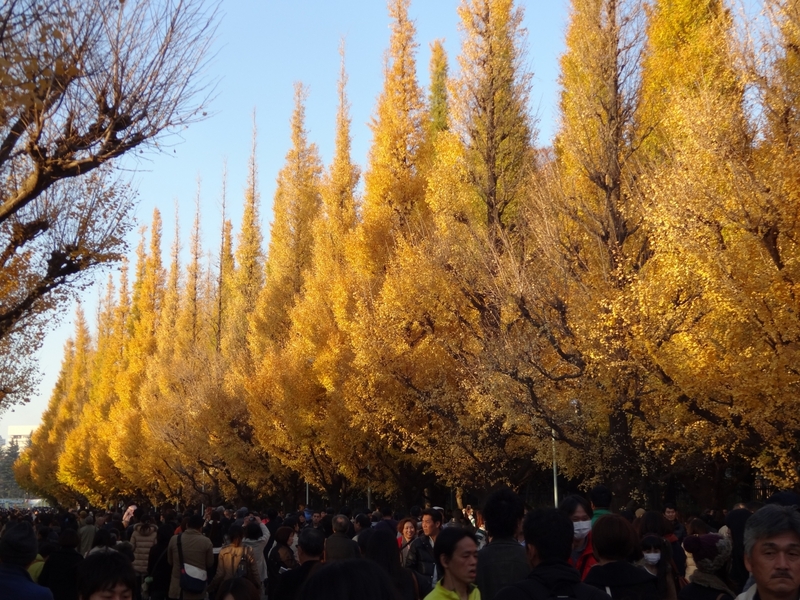 Icho Namiki does get crowded, especially on weekends, but on a sunny day, it is definitely worth braving the crowds to see the flaming yellow gingko trees reaching to the heavens. A popular place to stroll on a sunny autumn day. Golden gingko leaves stand out against the azure sky. Rikugien in Komagome is one of Tokyo’s most beautiful landscaped gardens, featuring an abundance of maple trees that make it a favorite autumn destination. Built between 1695 and 1702, the garden covers more than 87,000 square meters and recreates, on a smaller scale, 88 famous landscapes in Japan and China. 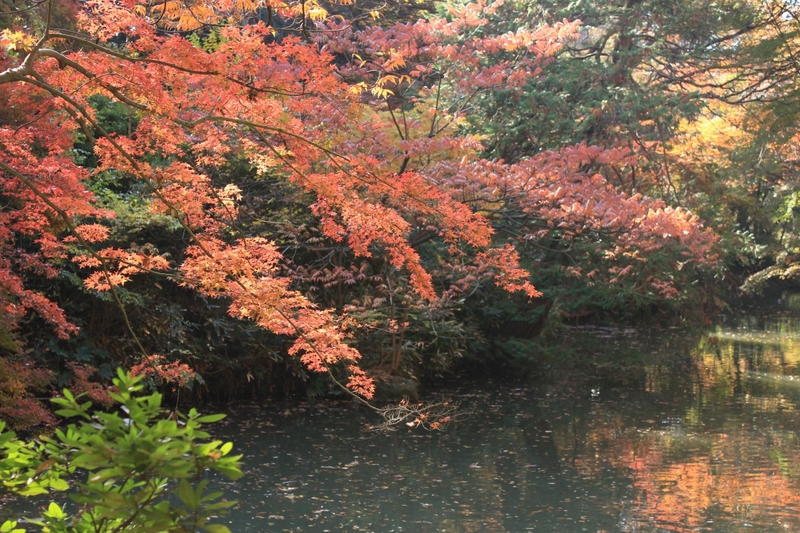 Maple trees reach down to the pond at Rikugien. The garden wraps itself around a large pond and there are several trails that wind their way past teahouses and through forested areas. Be sure to cross the Togetsu-kyo Bridge, made of two large slabs of stone, which is a popular viewing point. 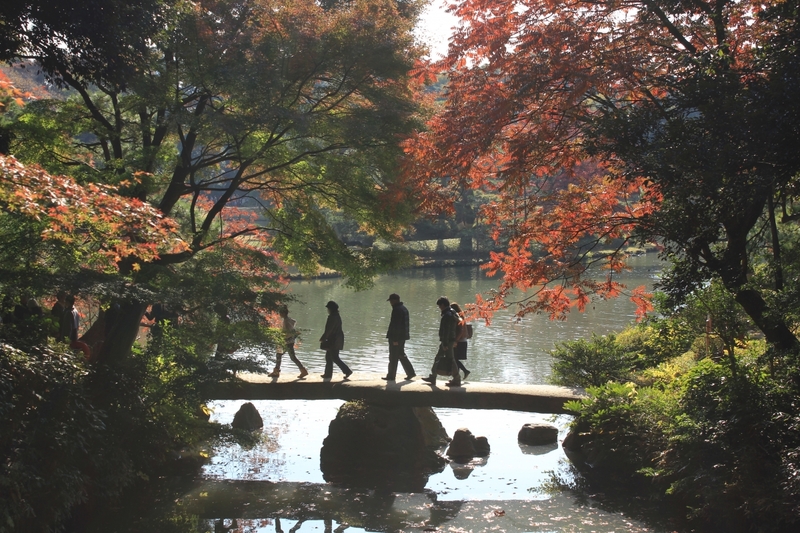 Visitors crossing the Togetsu-kyo, or moon-crossing bridge over the pond at Rikugien. A cautionary note – Rikugi-en, in northern Tokyo, is not as centrally located as Nezu Museum or Icho Namiki. 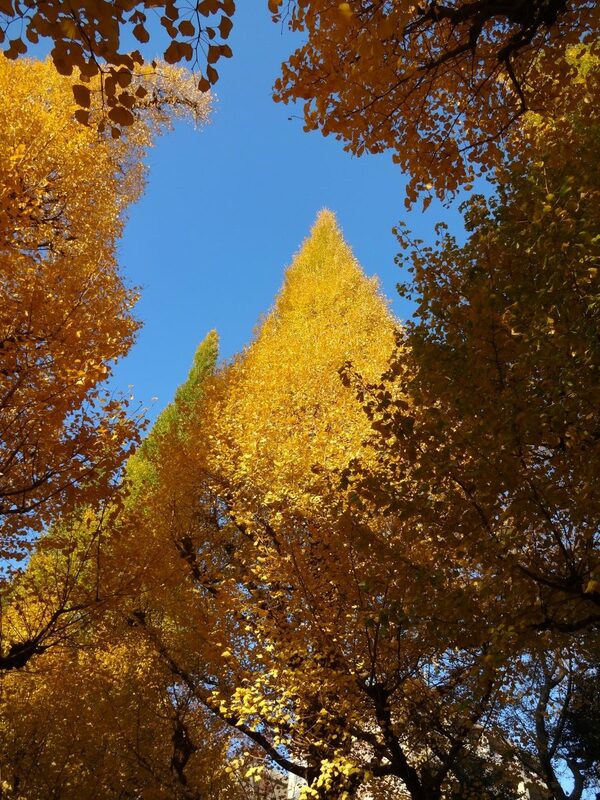 Nevertheless, it is so popular during the autumn color-viewing season that there is usually a long line at the entrance well before the park opens at 9:00am. So be sure to get there early. Just an hour’s fast train-ride west of Tokyo, Hakone is another easily accessible place to enjoy autumn foliage. 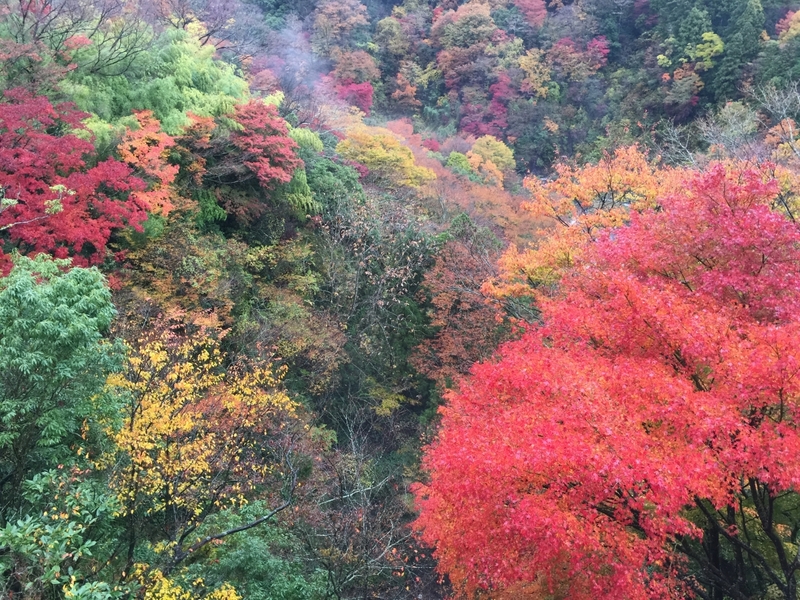 Since the mountains of Hakone are at a higher elevation than Tokyo, the autumn colors arrive there earlier, around early November, and last through mid-December. Although it is possible to get around by public transportation, the best way to enjoy the many sights scattered throughout the Hakone mountains is to go by car. A mountainside in Miyanoshita in Hakone. Whether you are driving or taking public transport, it is worth hopping onto the Hakone Tozan Railway train, which weaves its way along a distance of 6 kilometers and a difference in height of 340 meters from Yumoto (the terminal of the whimsically named “Romancecar” train) to Gora. Along the way, the train, which has to climb the steep elevation from Yumoto to Gora by zigzagging its way up, changes direction at three switchback stops and the driver and conductor trade places. 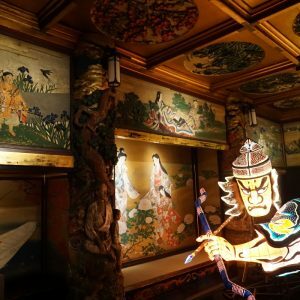 Nezu Museum : 8 minutes from exit A5 of Omotesando station on the Ginza, Chiyoda and Hanzomon subway lines. 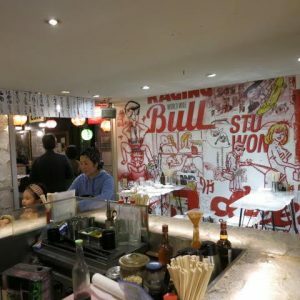 Icho Namiki – 5 minutes from Aoyama Itchome station on the Ginza and Hanzomon subway lines. 10 minutes from Shinanomachi or Sendagaya stations on the JR Yamanote line. Rikugi-en : 7 minutes from Komagome station on either the JR Yamanote line or Tokyo Metro Namboku line. 10 minutes from Sengoku station on the Toei Mita line. Hakone : 1 hour 25 minutes on the Odakyu Romancecar, which leaves from Tokyo’s Shinjuku station. 70 minutes by car on the Tomei Expressway to Atsugi and from Atsugi to Hakone on the Odawara Atsugi Road and Hakone Shindo.